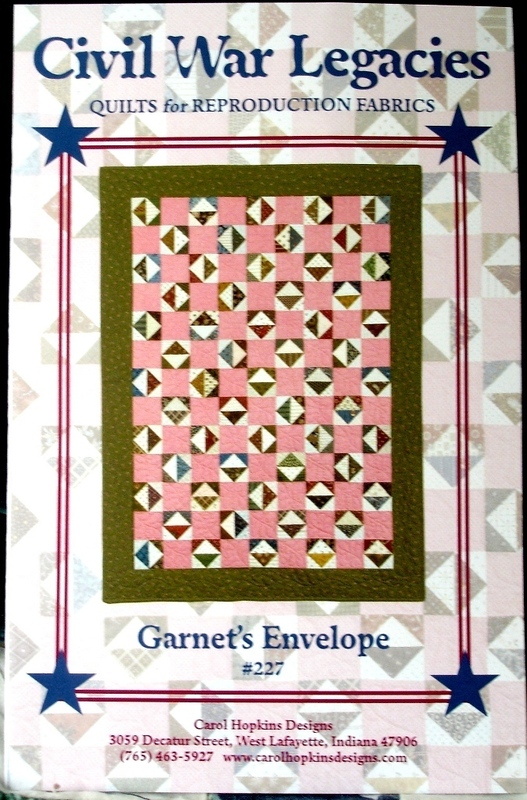 This great pattern for Garnet's Envelope quilt makes a finished 33" x 45" quilt with 3" x 3" block size. Garnet, long-time quilting friend of designer Carol Hopkins makes wonderful old-looking quilts that always have a special feature like a pieced border or an original quilting design that makes other quilters ask, 'How did you figure that out?' This quilt pattern was named in her honor. Pattern was copyrighted in 2007. Pattern comes in its original sealed package in new condition. 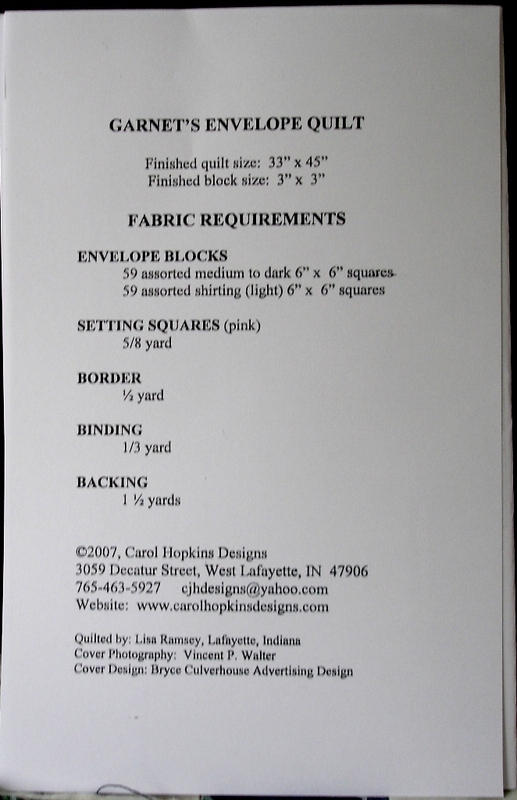 This Civil War Legacies Garnet's Envelope #227 Quilt Pattern By Carol Hopkins Designs Quilt Pattern will be shipped USPS First Class with tracking.